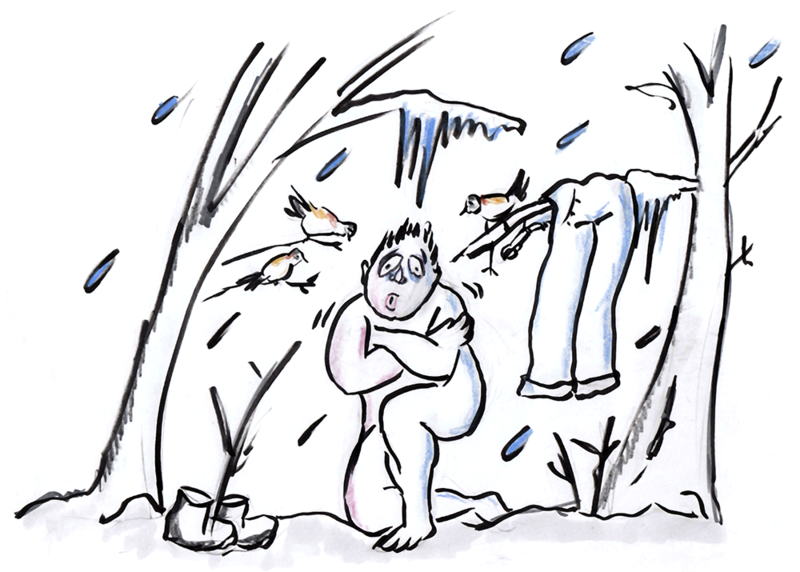 It’s 20 below freezing (that’s -11C), a bitterly cold wintry day in a Tennessee forest, and biologist David George Haskell takes his clothes off. All of them. On purpose. Chickadees, he says, do an odd thing. They change size as they move north and south. Not the individuals. But if you go 600 or so miles south, to Florida, the chickadees down where it’s warmer, tend to be smaller. Tennessee chickadees are, on average, about ten to twenty percent larger than Florida chickadees. But reverse direction and head 600 miles north, up to Maryland, or further up to Massachusetts and even Maine, and you’d find a closely related species, the black-capped chickadee, which, says David, “is ten percent larger again”. And this isn’t just a chickadee thing. It’s true of bats, rabbits, hares, goats, gazelles, deer, moose, hyenas, dogs, cats, mongooses, possums, kangaroos, monkeys. If you see a squirrel outside your window, and then imagine seeing that same species of squirrel some 500 miles north, chances are it’s bigger up there, smaller down south (assuming you are reading this in the northern hemisphere). This pattern isn’t universal. It governs only about two-thirds of mammal species, and bird experts argue how well it applies to birds. But it isn’t a fluke either. It seems that for some reason, as animals move toward the poles, nature likes them bigger. As animals head to the equator, nature likes them smaller. With so many different-sized, different-shaped, different-looking critters all around us, it’s a little surprising to imagine that nature has a hidden rule or secret pattern that governs so many of them. 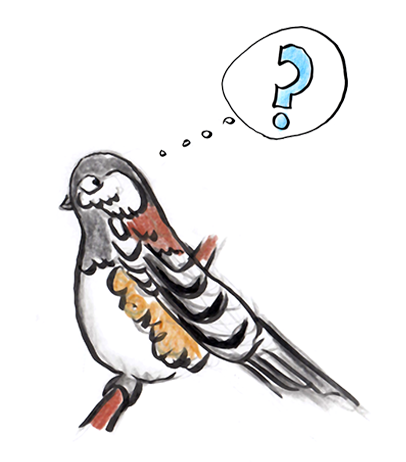 Why, a chickadee might ask, would this be? And, being of a somewhat morbid mindset, these mice begin to wonder, which one of them is going to freeze to death first. The big mouse thinks it’s not going to be him. 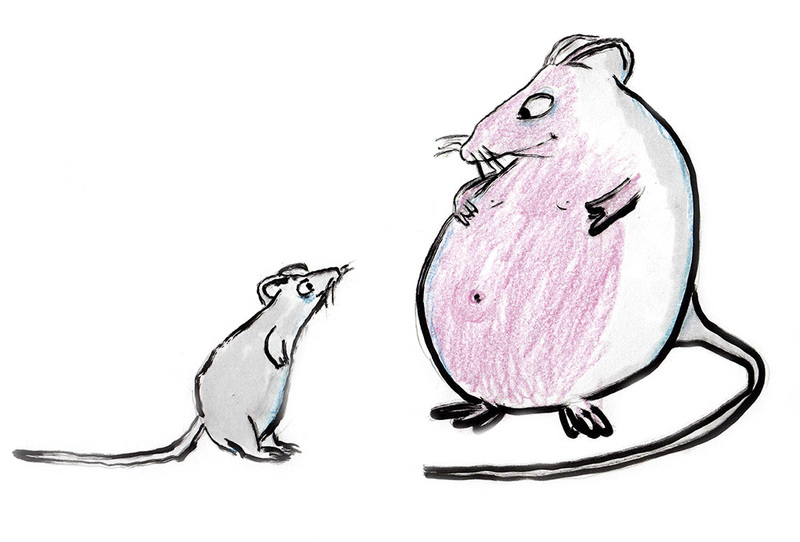 The two mice stared at each other. Which of us, they wondered, was right? Will the little mouse run out of heat first? Or will the bigger mouse, with more surface area, leak even faster? 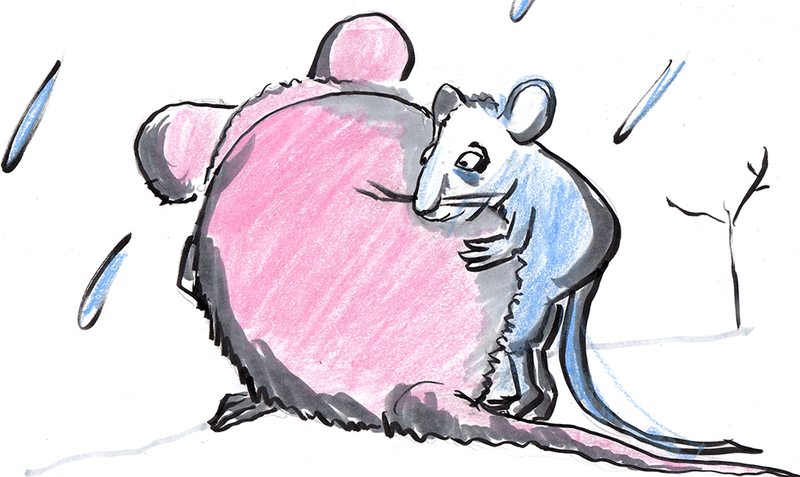 The big mouse rubbed his pudgy paws on his warm pudgy stomach, thought for a while, and then smiled. With his paw, he traced out some square shapes in the snow. 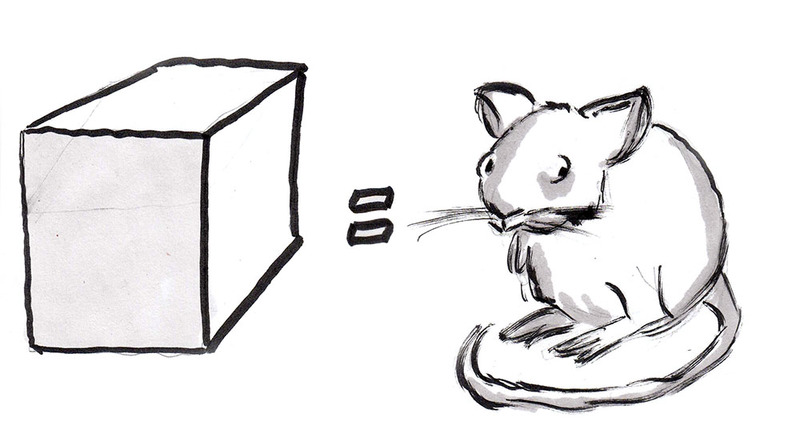 The little mouse had never thought of himself as a cube before. 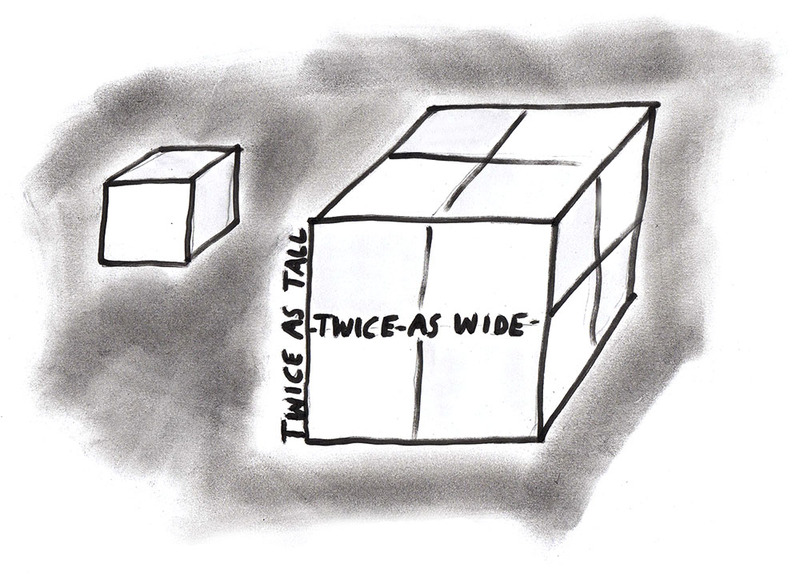 “As for me,” said the big mouse, “I’m going to be twice your size – twice as wide, twice as long, and twice as tall”, and he drew a second, bigger cube. 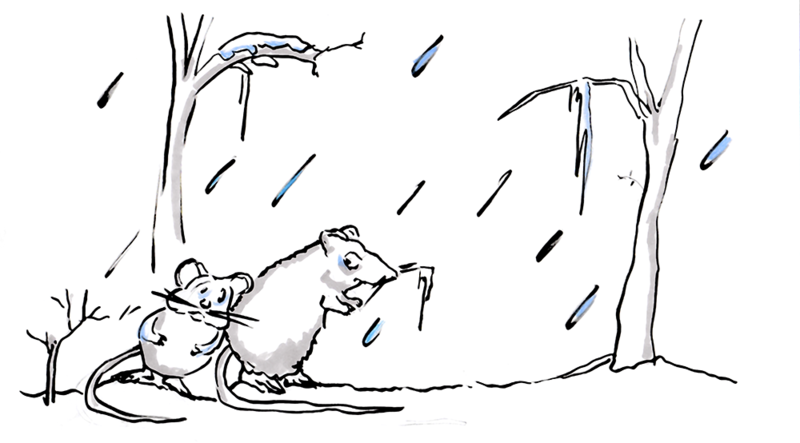 “There’s another way?” said the little mouse, feeling colder than ever. 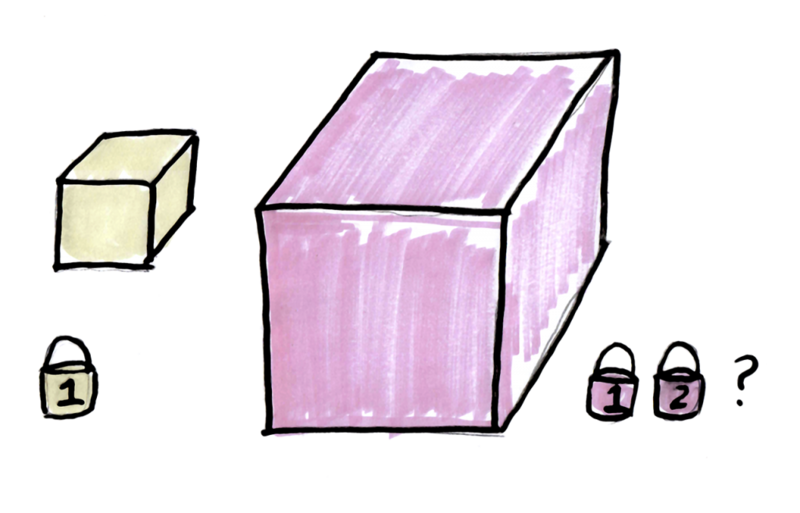 The little mouse looked at the big cube and counted the units with his frosty paw, and discovered that when you double the length of a cube, the inside grows… there they are, plain as day… to 8 units of warmth. “EXACTLY!”, says the big mouse, who can no longer contain its excitement. “And so, it’s not me that has to worry about the cold after all, it’s you!” cried the bigger Mouse.” And sad to say, (for all of you who root for little guys), Biggie was right. The lesson here is very simple: when a creature grows bigger, its insides grow faster than its outsides. (Or, as the math folks say, bigger things have smaller surface area to volume ratio.) You can see this for yourself. Move your cursor over our mouse friend here, and see what happens as it changes size. So Bergmann’s Rule now makes sense. As animals move into colder latitudes, every extra bit of bigness produces a lot more inside — and the more inside you’ve got, the better your chances of surviving the cold. 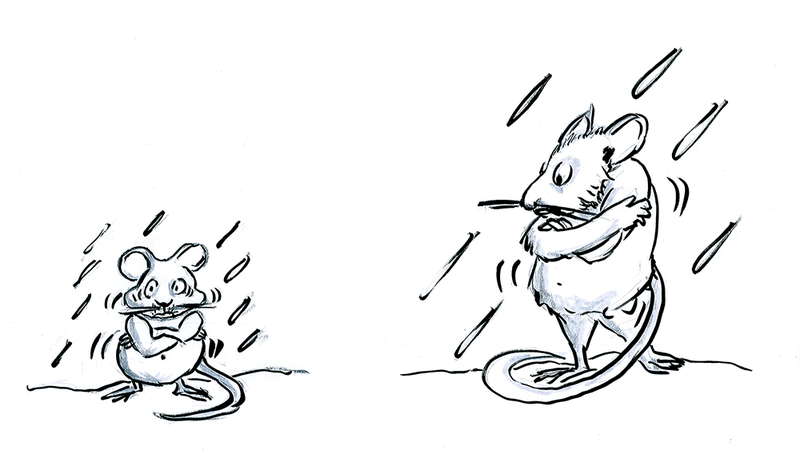 As for the fate of our two mice friends, you’ll be happy to learn that they used their new-found knowledge to find a way out of their predicament. They realized that if they both huddle together into a ball, they’ll drop their ratio of surface to volume even further – combined, their heaters outstrip their windows. 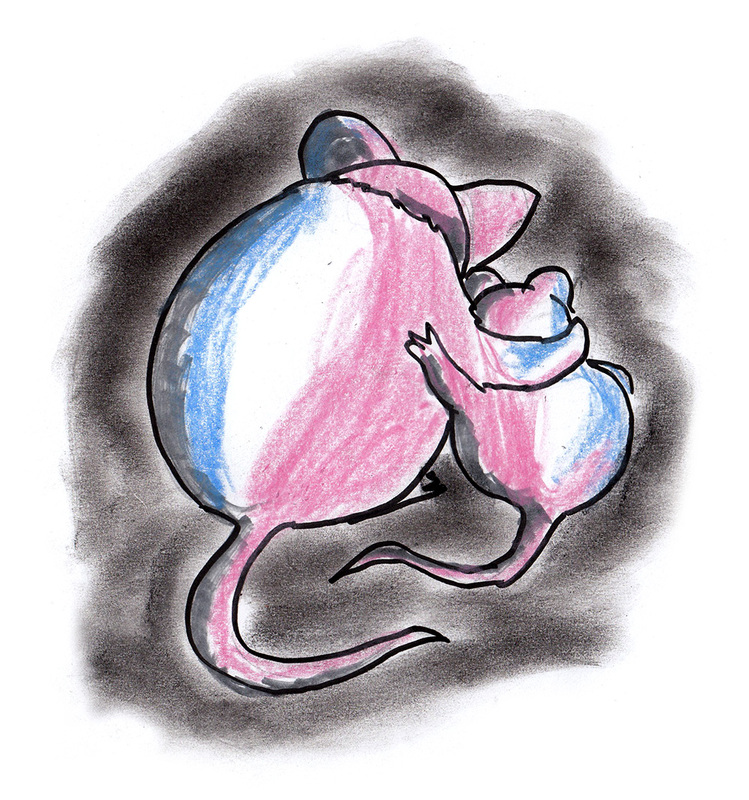 And so, our brave mice settle their differences, they hug, they cuddle, and together they weather the storm. You can see this idea play out all over the place. When you leave a batch of cookies out to cool, the small ones cool the fastest. Babies have a harder time staying warm than we do, because their surface to volume ratio is much larger than yours or mine. Small things (whether cookies, mice, or babies) lose heat more easily. And this explains why warm-blooded animals are bigger in colder climates. Now That We Know Bigger Keeps Us Warmer, Turns Out Nature Has Another Strategy. Just As Sly. There’s another route to warmth. 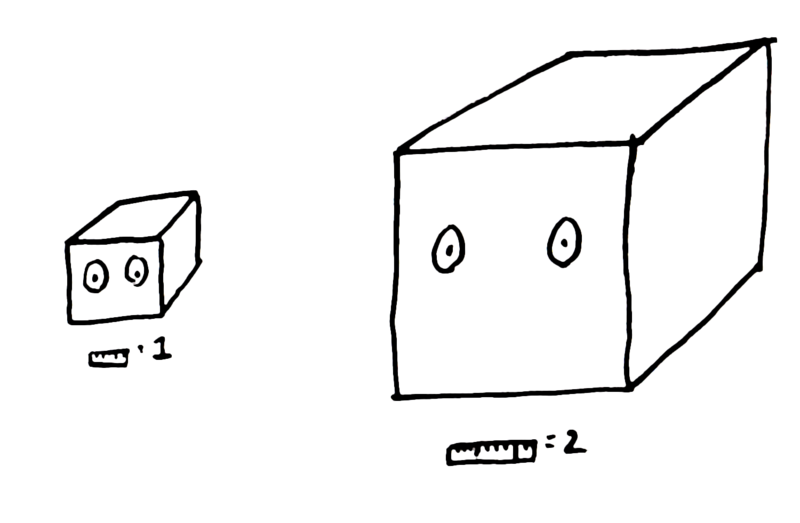 Instead of changing size, what if, instead, you changed your shape? To see how this might work, let’s go back to our cube for a moment. We can rearrange the blocks in a cube into a more slender tower. 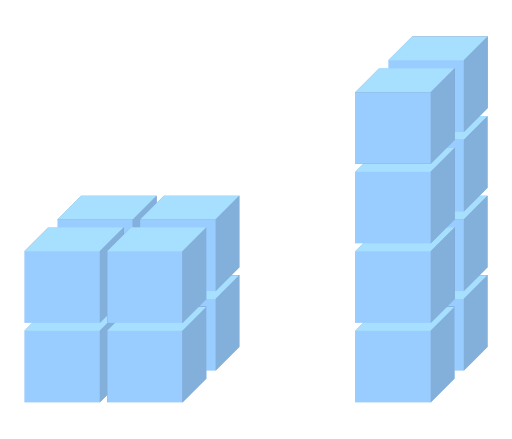 Both these piles have the same number of blocks, but it’s easy to see that the slender pile has a greater surface area than the squat one. Credit: Iacopo.lea License: Public Domain via Wikimedia Commons. In the squat pile, more of the ‘meat’ is protected on the inside, while in the skinny pile, more of it is exposed. The slender pile leaks more heat than the squat one, while their furnaces are the same size. So as we go to colder climates, in addition to finding larger animals (Bergmann’s rule), we should also expect to find animals with rounder, stockier bodies and shorter limbs. This latter idea is known as Allen’s rule, after Joel Allen, a 19th century American zoologist. According to Allen, birds and mammals in warmer climates should have longer limbs, ears, tails, snouts, beaks, and so on, the added surface area helping them cool down, while those in colder climates should have shorter limbs, to hold on to their heat. Rabbits’ ears are a nice example of this rule. As you make your way across North America from Mexico to Alaska, you tend to encounter rabbits and hares with increasingly shorter ears. 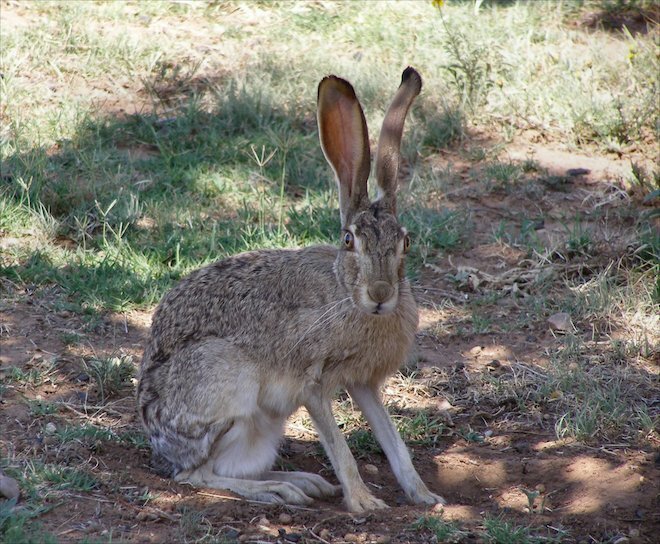 So in the deserts of Mexico and the Western United States, you’ll find the black-tailed jackrabbit sporting these enormous ears. Jackrabbits have long ears. Image: Pschemp. License: CC BY-SA 3.0 via Wikimedia Commons. 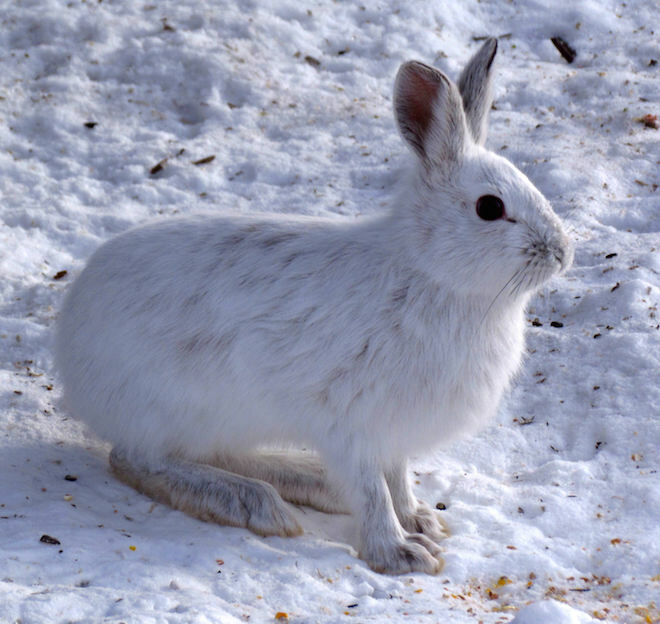 Meanwhile, much further north, up in Canada and Alaska, there lives the snowshoe hare, a creature with shorter ears than most other hares, just as Allen predicted. And snowshoe hares have small ears. Image: D. Gordon E. Robertson. License: CC BY-SA 3.0 via Wikimedia Commons. Birds offer some of the clearest evidence for Allen’s rule. A study looking at measurements of 214 bird species found that their beaks get shorter as you go to higher latitudes. So for example, Antarctic penguins tend to have a shorter bills than South African penguins. Toucans high up in the Andes, where it’s cold, have shorter bills than toucans down in the rainforest, where it’s hot. A similar pattern holds for seagulls, wild turkey, and so on. The explanation for this is that birds use their beaks to lose heat, and a longer beak leaks more heat, a fact that might have been obvious to us if only our eyes could see infrared light. Just take a look at these infrared photos of bird beaks. 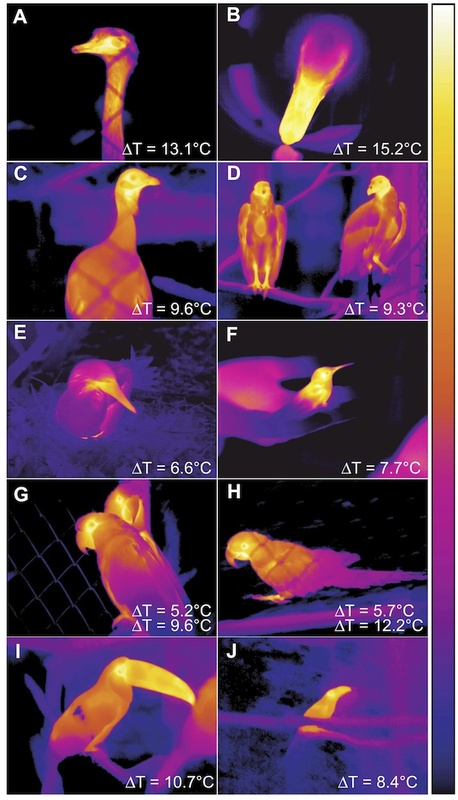 An infrared camera reveals how bird beaks leak heat. Next to each bird is the temperature difference between its beak and its surroundings. Image: Matthew R. E. Symonds and Glenn J. Tattersall / The American Naturalist. Or check out this infrared video of a toucan, and you can easily see the beak glowing as it radiates heat. Bergmann’s rule (big vs. small) and Allen’s rule (slender vs. compact) aren’t capital R rules that apply in all situations. Instead, they’re simplified models. 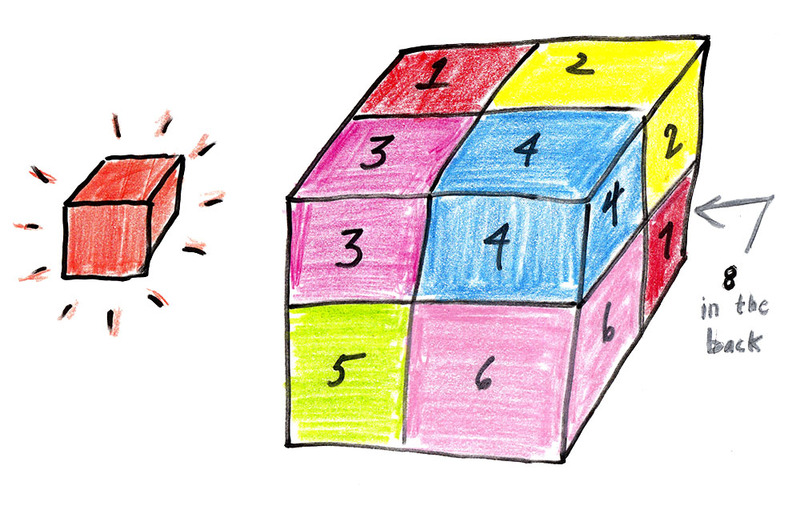 The real world is more complex (and more interesting) than the world of cubical mice. In real life, mice run short of food, face droughts, get diseases, get hunted by armies of cats, and can burrow underground for protection. A creature’s size may depend on all these factors, and not just on warmth. Bergmann’s rule has its fans and has its critics, but it’s been used by scientists for 175 years, and is still being used today. That being said, there’s one mammal we haven’t considered as yet, and that’s us: humans. So do these rules also apply to us as well? You’d expect that, if these patterns held in humans, people living closer to the tropics should weigh less than people towards the poles (Bergmann’s rule – less mass equals a smaller heater). And their bodies should be more slender, with proportionately longer limbs (Allen’s rule – a larger surface leaks more heat). In a recent study, researchers surveyed the sizes of 263 different modern human groups believed to have stayed in the same place for (at least) the last 500 years (because recent migrations would scramble these patterns). And they found that, just as you’d expect from Bergmann’s rule, people tended to get heavier as they moved towards the poles, agreeing with previous studies of human size. Meanwhile, many other studies have found evidence for Allen’s idea in humans. 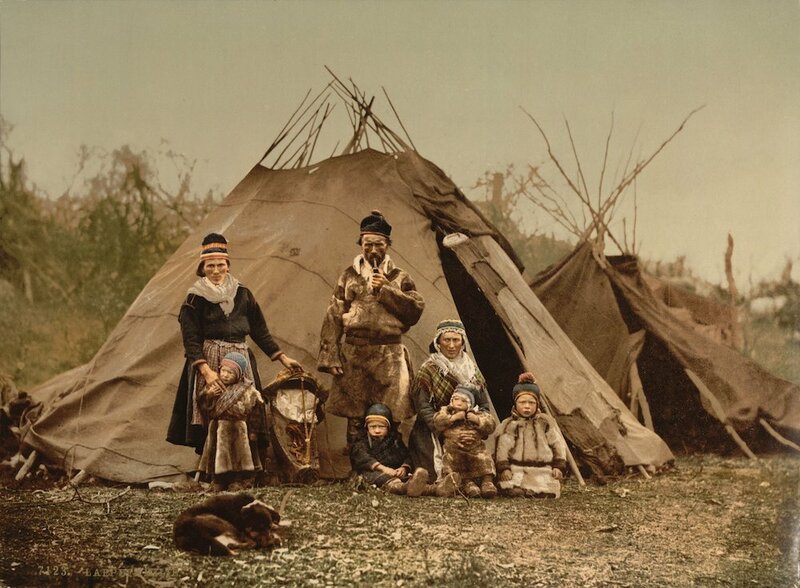 “A Sami indigenous northern European family in Norway around 1900.” Public Domain. So while these patterns are noisy and hold only on average, there’s evidence to suggest that as humans moved to colder climates (and stayed there for a long time), they developed a heavier and more compact body shape, driven by the need to stay warm. Human populations living close to the poles, like the Inuit, the Aleut people or the Sami people tend to weigh more than people who live at lower latitudes, consistent with Bergmann’s rule. And they have somewhat broader trunks and shorter limbs, consistent with Allen’s rule. In contrast, people adapted to life in the tropics tend to be leaner, with longer arms and legs relative to their size, which helps them stay cool. Image by Bjørn Christian Tørrissen. License: CC BY-SA 3.0 via Wikimedia Commons. Groups of pygmy people have independently evolved towards small size in the rainforests of South America, Africa, and South East Asia. Although this fits with Bergmann’s rule, it still raises a question. Why did pygmy people evolve towards being smaller than other equatorial people? One possible explanation, according to researchers, is that in hot and humid rainforests, the usual way that we stay cool on hot days — by sweating — doesn’t really work. That’s because sweat doesn’t evaporate easily in the high humidity (as anyone who has spent time in a rainforest can attest). And so, their small size may have evolved as an alternate strategy to stay cool in a super-humid environment, because smaller individuals produce less heat and leak proportionately more of it. Another notion is that pygmy people evolved towards small size because food is scarce in rainforests, and a smaller body means that you can survive on fewer calories. Yes, there are lots of exceptions, and you can probably think of a few. Once again, we are not describing a universal law here, it’s just a pattern that shows up so regularly, so often, that despite the exceptions, it bears noticing. The world is full of differently-shaped, differently-sized, differently-sorted animals, and yet, in that jumble of difference there is a pronounced pattern: higher latitudes seem to select bigger and more compact bodies, lower latitudes smaller and leaner ones, and that may be because towards the poles you need to keep yourself warm, towards the equator you need to cool off, and bigger, compact bodies are better when it’s cold out. The guy who taught us this, Professor David Haskell of Tennessee, could run his own little experiment. If some of his kids were to leave Tennessee for the Arctic and hang out there for another 10,000 years, would they gradually become more compact and thicker? Would the Haskells who stay in Tennessee stay lanky? It would be interesting to find out. But then again, if the next 100 generations of Haskells are as curious as David, if they do cockamamie things like strip naked on sub-freezing days “to experience the cold as forest animals do,” we’re guessing their chances of lasting ten thousand years become a little… umm… dicey. Curious animals are a special category. We love them. But try not to include them in long term studies. Loved this – can’t wait for more! Fantastic! I am already enjoying following you blog and look forward to more! So much fun! I’m also curious to know whether this sort of adaptive evolution in people can be affected by things humans did. 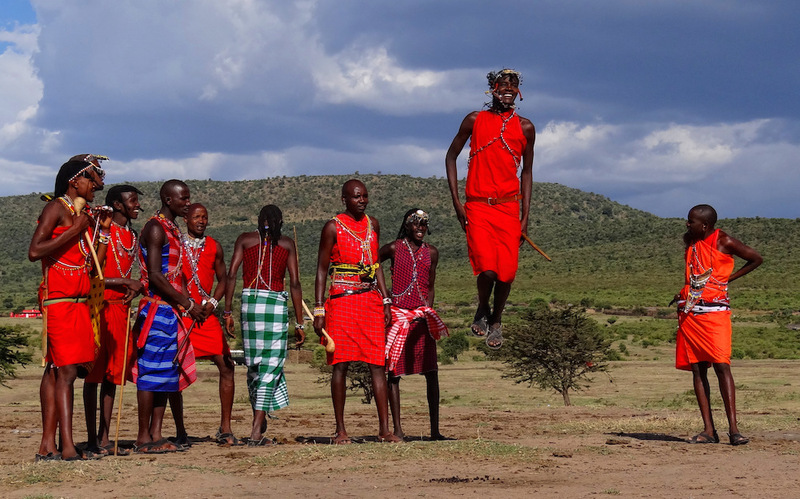 Like those Kalenjin runners who were made to go through those crazy rituals that made them great runners. Unlike birds or animals, we have been actively doing things that will almost certainly have an evolutionary impact on our progeny (longer arms for selfies??!? eeeks), I wonder what we will look like 100,000 years from now! 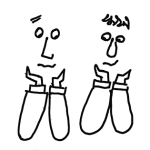 Aatish and Robert, the existence of this blog has given me much joy and I’m grateful for the time and energy you guys put in to telling stories for the curious! Thanks, Nikhil! Glad you’re enjoying it. The mice collaborated to survive! 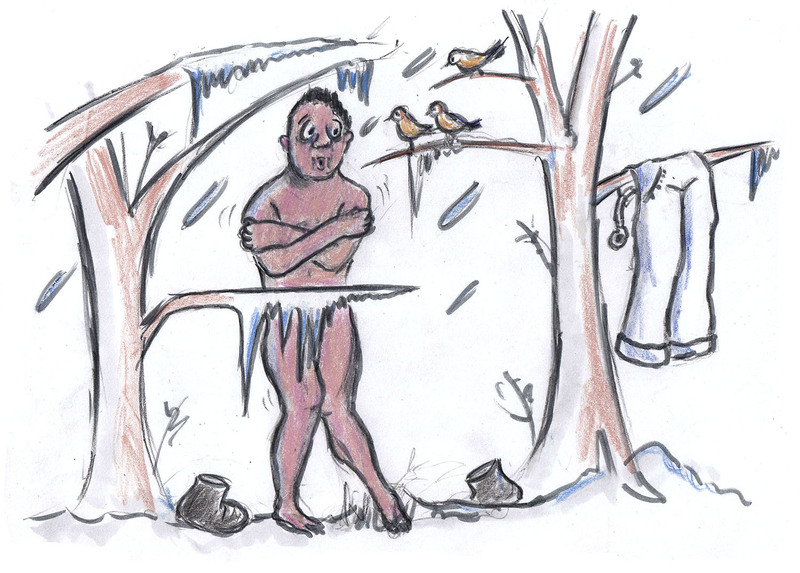 This was a fun explanation of survival and body heat. I really like the way you described how two forces, volume and surface area, work to create different outcomes. This is confusing to people, particularly to many of my students. This was a great example of how to explain which of two contrasting theories prevails. Great article! Looking forward to more. Correct me if I’m wrong, but couldn’t you show Allen’s rule applies to a seeming exception to Bergmann’s, the elephant? Biggest land mammal, yet has those large, flat ears to radiate heat more efficiently. Great point! Elephants do seems to run counter to this story.. which means there might be something else at play that explains how elephants can keep cool. Turns out, this is EXACTLY the topic of our next post, so check back next week for that — and hopefully it’ll answer your question. cool, i was thinking of elephants too…. Fun post!! In using Bergman’s rule (guideline) you have to remember to compare apples to apples ( chickadees to chickadees ) that live in different climates. What are you comparing elephants to? The only extant relative to the African elephant is the Indian elephant. they both live in equatorial climates. Other factors including food supply and predation account for it’s size. Climate change may have some unexpected effects on nature. Rather than simply changing to respond to a warmer climate, natural selection will likely be guided by the fact climate change means more hot and cold extremes throughout the year. I’m not an expert on the matter, but it would be very interesting and worthwhile to study these changes. Love this article. As a science teacher I have discussed this very topic with my students. At the cellular level the same concept is at work. Cells in a mouse are the same size as those in a whale. Why must cells be a certain size and no larger? Why do we not see single celled organisms the size of elephants? The surface area to volume ratio explains this. A cell has no mouth to take in food and must absorb it through it’s cellular membrane (surface area). It needs to feed the interior of the cell (Volume). If a cell gets too large it will starve, as it’s volume exceeds its ability to take in food. This article was excellent, actually made me enjoy doing an assignment. Having read the book The Forest People, about the lives of the African Pygmies, I think the main reason they’re smaller is for forest mobility. It wouldn’t make sense as a heat solution, because the dense forest is actually much cooler than the surrounding areas, due to all the shade. And the neighboring people are much, much larger.